On the eve of a historic vote in the House on health care reform Republicans aren’t conflicted. They’ll all vote ‘no.’ But on the Democratic side it’s not so easy. Some members who favor reform are in districts that poll strongly against; some members who oppose reform are in districts that poll in favor. Both groups are conflicted: vote their conscience or vote their constituents? Marjorie Margolies argues, in an op-ed in Thursday’s Washington Post, that members should vote their conscience. She’s a voice worth paying attention to, since her vote of conscience in favor of President Clinton’s budget proposal is generally considered to have led directly to her defeat in the 1994 election. But if you think Margolies’ advice just serves her desire to get health care reform passed, consider what the father of modern conservatism, Edmund Burke had to say on the subject in 1774. He was defeated at the next election. As was Margolies, 216 years later. Both took the ethical path, doing their duty rather than taking care of their reelection prospects. This entry was posted on March 19, 2010 at 1:10 pm and is filed under Ethics-general, Politics. You can follow any responses to this entry through the RSS 2.0 feed. You can leave a response, or trackback from your own site. That REALLY why Bob Bork is not a Supreme Court Justice … because he espoused a return to our true form of government !!! His book on what happened to him is a good read for anyone brave enough to desire to know the real story !!! But Bob, while I am interested in direct and public participation in government I can’t see how any representative in a Representative Republic can “vote the way their constituencies wish them to” when their constituencies are not of one mind on any issue. We are individuals and not lemmings of one mind. I expect my elected leaders to have a mind… and to use it — to learn about an issue as much as possible… and have access to information than I may be unaware of myself. But I also want my elected leaders to inform me of the reasonings of their decisions so I can judge for myself if I can agree with them or not — and at the very least I want to respect their decision to act in good conscience even though I may disagree. I will await the next election cycle for me tally up all the “good and bad decisions” (from my perspective) and make my own individual decision in good conscience. Thanks for your thoughts about all of this. It’s an interesting issue. 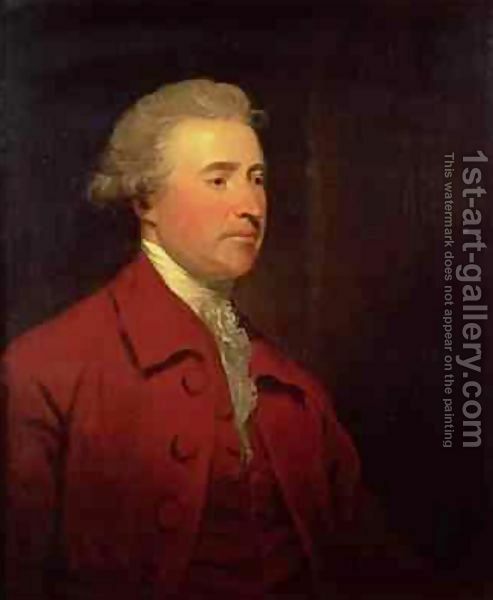 You agree with Edmund Burke. Good for you.